Carlsbad Real Estate has many different unique neighborhoods that can be found throughout this large beach town in the north section of San Diego County. Even though the city has four zip codes of communities, there are two large areas where a large majority of the neighborhoods can be found in Carlsbad. The first area is the La Costa area with small neighborhoods surrounding the La Costa Resort & Spa Hotel and golf course. 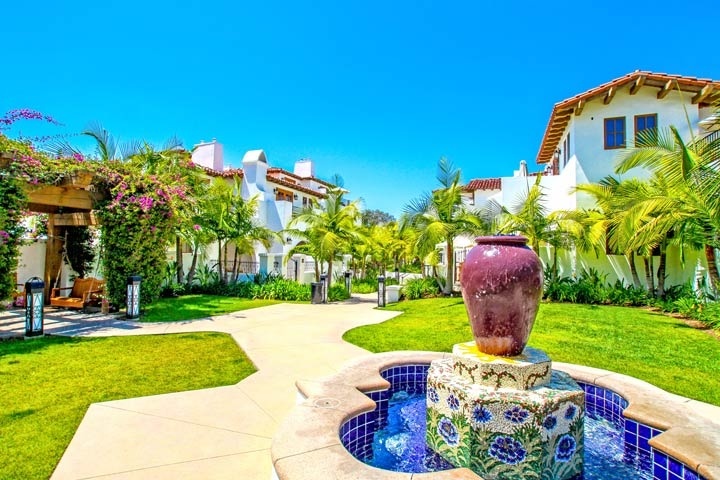 The La Costa area is widely recognized as an upscale area with large single family homes and smaller townhouses and condos that can overlook the La Costa golf course with distant ocean views. There are also several large gated communities found here that include La Costa Ridge which is home to large luxury estate homes. The second area is the Aviara area that is home to the Four Seasons Hotel. Similar to the La Costa area, Aviara neighborhoods are considered some of the best communities to be found in the Carlsbad area with a large number of gated communities found here. There are also many beach close neighborhoods like the Olde Carlsbad area that offers older historic properties that are within walking distance to the beach. Please take a look around and contact us at 1-888-990-7111 with questions regarding any of the neighborhoods listed below!